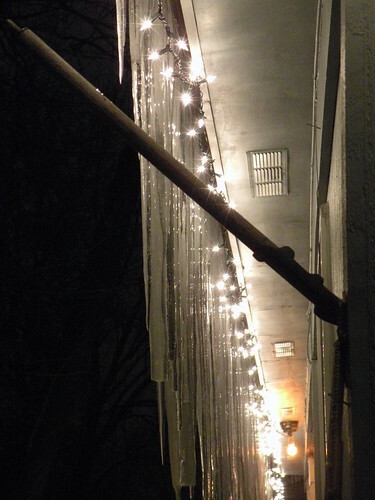 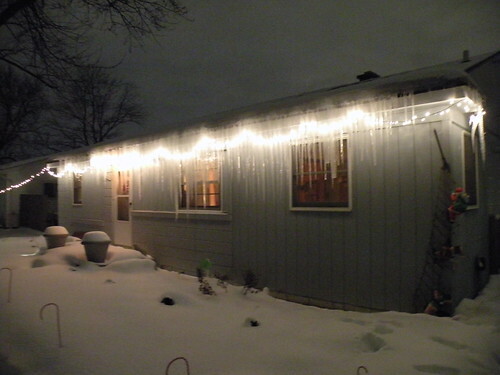 And, yes, those are my Christmas lights. 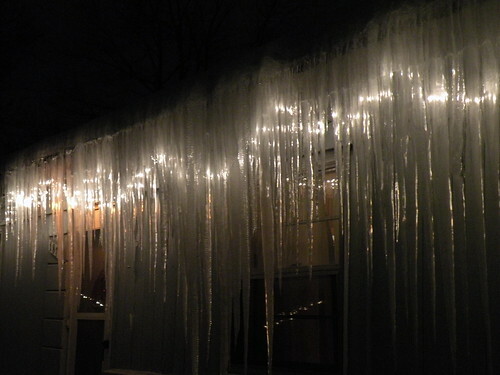 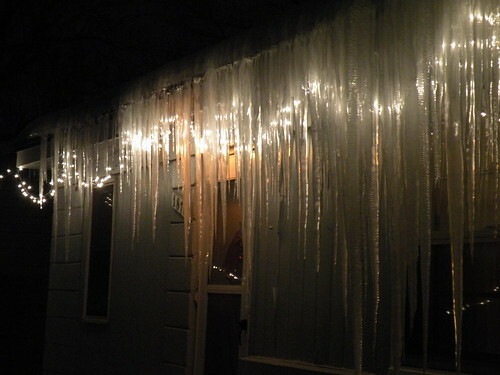 I was wondering if they might put out enough heat to start melting the icicles in the front of the house, since it looks like there is ice piling up on the roof a bit, and that can’t be good. 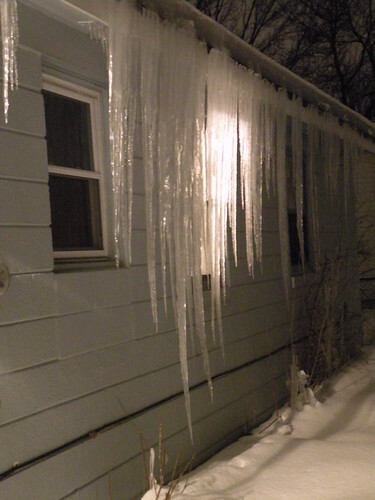 And here is my front door…about 1/4 to 1/3 obscured by the Ice Picks of Doom — obviously, this is not the entrance that I use daily.